Every woman wants to have thick, gorgeous hair. Sometimes it is nearly impossible for women to get the right amount of volume with their hair. Hair extensions are one way to get your hair fuller and more voluminous. The best long lasting hair extensions are the individual hair extensions. The first step to getting your hair extensions on fleek is to pick the right hair extensions for yourself. You want to use hair extensions that will blend in perfectly with your own hair. Try to color match it as closely as you can. 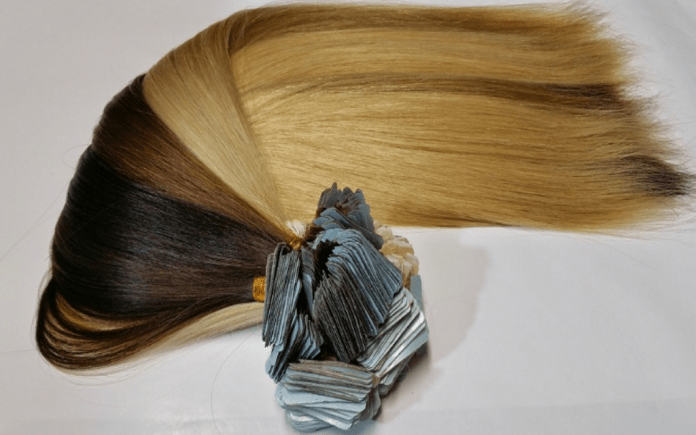 After finding the right hair color shade for your hair extensions, look for the right hair texture for your hair extensions. If you have waves in your hair, select wavy hair extensions. If you have straight hair, then straight or flat extensions will be fitting for your needs. If you have very curly hair, your hair will look best with curly extensions. You will additionally be posed with the choice of synthetic or real hair options for your hair extensions. Real hair extensions look more realistic and you can always use heat tools on them to style your hair. Synthetic hair extensions don’t always look that realistic. You should also ensure whether or not you can use hot style tools on them, since some synthetic hair extensions are not able to be styled with hot tools without melting. Individual hair extensions should be placed on your hair by a professional hair stylist or by a friend. You will want to research where the best hair extension hair salons are, so you can get a good result. All that is done in the process of putting in individual hair extensions is very simple. A bead is put on the real hair close to the scalp. High quality hair extension strands are then placed into the bead. The stylist uses a clamp tool to shut the bead which traps the hair extension strand and the real hair into the bead. This whole process typically takes from three to five hours. About one hundred strands of hair extensions are put into thin hair. One hundred and fifty strands are used for medium hair. One hundred and fifty strands or up to two hundred individual hair extensions are put on thick hair. Individual hair extensions can look great and last a long time. They can last up to three to six months. You have to take very good care of them though. Some people who don’t take good care of their individual hair extensions pose the risk of a bird’s nest mess and a head that looks sloppy. If you want to have good looking hair, you must take good care of your hair extensions. Washing your hair in a gentle manner is important when you use hair extensions. You need to follow up a gentle wash with a good leave in conditioner to keep your hair from tangling and have them smooth and soft. You also want to be careful not to get your hairbrush or comb stuck at the area your hair extension is attached. You will want to wash, condition, and brush your hair in a careful manner. Always use a heat protectant product on your hair extensions before you use hot tools on them. Don’t feel any guilt about wearing hair extensions. Plenty of female celebrities wear hair extensions to get the full look and different styles. Hair extensions are about as common as women using botox in Hollywood. Celebrities like Vanessa Hudgens, Miley Cyrus, Lauren Conrad, Britney Spears, Victoria Beckham, Paris Hilton, and Blake Lively; all of these actresses, pop stars, fashion designers, and reality television stars use hair extensions to thicken up their hair style. So, do remember these things while going for hair extensions and enjoy your thick and luscious hair! It is risky, if one can not able to take proper care of individuals hair extension pose the risk arise of messy hair. The time period of individual hair extension result is too long, one have to keep patience. Thanks for sharing this article. It is really helpful.